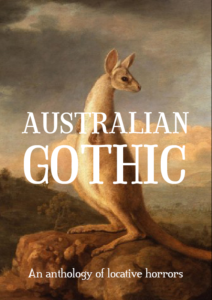 I contributed Williamstown Gothic to the Australian Gothic collection. There’s a new cafe just opened up on the corner. It still smells slightly of fresh paint and expensive coffee. You’ve lived in the area for ten years. When you try to remember what was there before the new cafe, your mind goes blank. You ask a friend. Growing up on a crumbling plantation at the beginning of the 20th century can profoundly shape an imagination, and when I grew up and went away to university in New Orleans, I realised my imagination wasn’t the only weird thing about me. My family’s reaction to my wild new life almost killed me. The way back to feeling alive was stranger than even I expected. Now I want to tell you all about it. Detritus contains my story Shots and Cuts. The reason why I’m telling you about twenty-one sordid little murders is because these kids shot their kills in just the same way that kids at concerts do. Zoom in, jump cut, adjust the audio levels. Wolf Girls includes my story Familiar. Little Visible Delight includes my story Kestrel. Her parents named her Kestrel, because bird names were the fashion. When she was twelve years old she discovered that the name came from the old French word for rattle, after the sound the bird made. Another child might have found that funny, considering. But then again if she’d been another child, it wouldn’t have been funny. If she’d been another child, she wouldn’t be so habitually quiet that her parents forgot she was in the room almost daily, and discussed her with a frankness that nobody should ever hear themselves talked about, especially not by their parents and especially not when they are twelve. 31 More Nights of Halloween includes my story Costumes. The ones who look like that — like they belong on the lurid covers of scary books and movies — are the ordinary, safe ones. They are the ones who will go home and slip out of their monstrous selves, putting the darkness away for another year and smiling happily as they eat their candy or happily discuss the mild mayhem they’ve caused with rolls of toilet paper and cartons of eggs. The other kind, the ones who are secret stowaways from somewhere you cannot imagine, are the princesses, the fairies and cheerleaders and china dolls. They dress up as pirates and knights and robots, as genies and angels and good witches in frothy gloss and spangles. 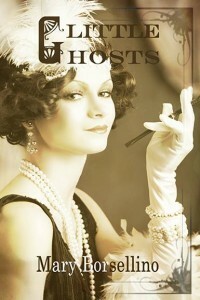 These publications include my story Loveless. It’s against Martin’s nature, and always has been, to believe in the idea that anybody ‘deserves’ anything from life. He’s seen no evidence of karma, or of poetic justice, in his time. If there’s some cosmic scale of checks and balances, its works have been taking place somewhere very far from the random, cruel universe which Martin fits within so easily. But, nevertheless, it seemed only fair that such a girl should be killed by someone who noticed her, who saw her for the determined little spark of life within the dark that she was. Monochrome Circus can by found in my free Writing Sampler.